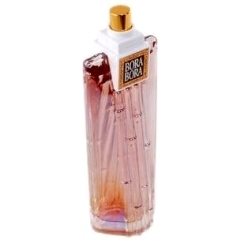 Bora Bora is a perfume by Curve / Liz Claiborne for women and was released in 2002. The scent is fruity-floral. The projection is above-average. The production was apparently discontinued. Confirmed! Bora Bora is a J'Adore smell-alike. That said, J'Adore is smoother & rounder than BB. J'Adore is also muskier as it dries. Regardless, BB is a GREAT smell-alike at a great price. Don't hesitate to purchase BB if you want J'Adore without the pricetag. I really like BB ... just not the mass-market presentation of white florals in BB, which never seem to work well on my skin and always seem to aggravate my allergies. but to my senses no dice. Write the first Review for Bora Bora!